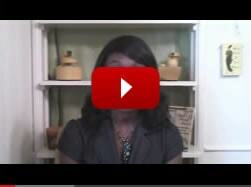 1.1 What is an emotional support animal letter? 2 What are the qualifications for obtaining an ESA letter? 3 Who is qualified to write an emotional support dog letter? 4 What must a letter for an emotional support animal include for air travel? In the United States alone, one in four adults will experience a mental health or emotional issue this year. These conditions can be debilitating and reduce your overall productivity, physical health, and great affect your personal and professional relationships. 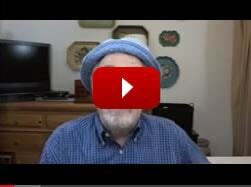 If you were to ask any of the millions of people who experience these crippling health issues whether they would try a drug-free solution to their mental and emotional woes, many would. Medications that treat these conditions often have side effects that are almost as bad as the conditions that they are treating. Fortunately there is a solution. In 2015, Harvard released a study which highlights the benefits of animals in the lives of people who suffer from these issues. According to this report, pets serve as a conduit for social and emotional support. In addition to this benefit, these animals provide the companionship that can greatly relieve mental health disorder symptoms. • On airline flights – This will vary from airline to airline, but as a general rule, most animals can fly fairly easy if they are considered an emotional support animal. • In housing that typically doesn’t allow pets – For instance, if your housing development doesn’t allow dogs, but your dog provides emotional stability to your life, he/she can be registered as an emotional support animal. Federal law also makes it fairly clear that emotional support animals living in housing developments that charge extra for animals or ask for a pet deposit are exempt from such charges. In addition to this, a landlord cannot ask that the animal wear any harnesses or gear that identify them as an ESA. Finally, a landlord cannot legally inquire about the nature of the emotional/mental disorder that the ESA is there to help treat. • In office buildings – As long as you have proper documentation, any animal that is considered an ESA is allowed in the same places as traditional emotional service animals are allowed. • In Businesses – Similarly to office buildings, businesses cannot refuse service to individuals who have a emotional support animal. Unlike traditional service animals, emotional support animals aren’t required to be trained so that they can perform a specific service for their owners. These pets are there to provide a sense of emotional safety and calm; their mere presence is typically enough to provide instant benefit to their owner’s emotional state. Having an emotional issue and a pet doesn’t necessarily allow for you to ignore the policies and laws of your area; you’ll need an emotional letter. An emotional support animal letter is a letter from a licensed therapist or mental health professional that states that an animal is a emotional support service animal. You’ll need to be considered emotionally disabled by your therapist and the letter should be formally written with the appropriate formatting as well as a the health provider’s office letterhead. The Bazelon Center has a great example of how one of these types of letters should look. • A patient of the mental healthcare provider. • Are currently under care for a mental health treatment that is designed to alleviate a serious mental disorder. The mental disorder must be included in the Diagnostic and Statistical Manual of Mental Disorders, version 4 or 5 (DSM IV or V). • Have emotional/mental issues that preclude at least one major life activity. • Prescribed by your therapist/mental health provider a emotional support animal as a necessary part of treatment. • In addition to all of this, the emotional support letter has to be dated no later than a year back from your presentation of the materials to the renting parties. These letters state that the emotional support service animal in question is similar to standard emotional support animals and should be afforded the same or similar provisions. Since these animals are intended to prevent emotional issues, their usage falls under the Americans with Disabilities Act, and are thusly provisioned by federal agencies like HUD. The animals that are provisioned in this type of letter include just about any domesticated animal. These can include, dogs, cats, pigs, mice, rabbits, birds, snakes, hedgehogs, rats, or lizards. These animals are considered a “reasonable accommodation” by federal statutes like the Fair Housing Act (FHA). What are the qualifications for obtaining an ESA letter? 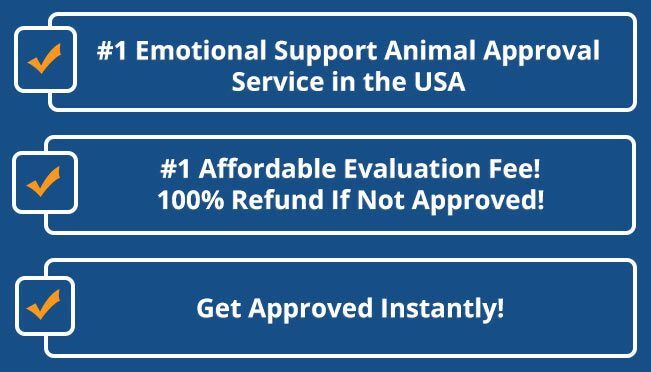 To qualify for an ESA letter, you’ll need to be considered emotionally disabled by your therapist to obtain a animal support letter. Who is qualified to write an emotional support dog letter? In most cases, your family doctor cannot provide one of these types of letters for you, though some landlord, property managers, and rental agencies will accept a letter from a family physician. Here is a listing of the physicians who can provide this letter. 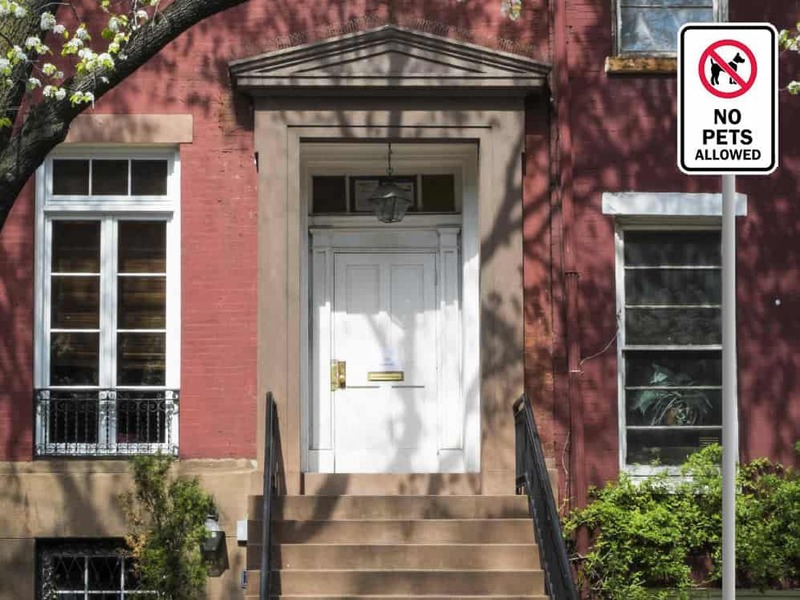 Each of these types of mental health professional are considered eligible by HUD, but your landlord or renting parties may have more professionals that they consider adequate. Communication is very important when it comes to obtaining these letters; some landlords may need additional materials that are allowable by law. What type of information must be included in a letter for emotional support animal use in housing? The Fair Housing Amendments Act of 1988 requires that a property owner or landlord make personal accommodations for any person in need of a service animal. As a result of this ruling, emotional support animals can and must be allowed in the living quarters of any individual requiring their service; within reason. As mentioned previously, a landlord cannot request anything unreasonable from a person living with an emotional support animal and the owner’s rights are clear in this regard. 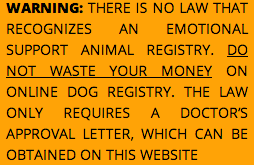 With this said, you’ll still need a letter that confirms your pet’s status as a service animal. This is important because the first thing that you should do before seeking out one of these letters is to contact your landlord/property manager. You can send them a letter alerting them of your need without needing to divulge the nature of your disability. This will get the ball rolling on the process, before you provide them with the ESA letter. • If the property has only four or less living units and the landlord or property manager is living within one of the apartments. • If the person seeking emotional support animal acceptance is trying to live in a single family household that was sold or rented without the service of a real estate broker. • Any dwelling that is considered a hotel or a motel is not considered a dwelling under the Fair Housing Amendments Act. These units are considered places of public accommodation and thusly are exempt from any laws pertaining to emotional support animals. • Private Clubs are also exempt from any requirements regarding accommodation for people with emotional support animals. There are also provisos regarding housing accommodations that you should remember pertaining to emotional support animals. Firstly, if your emotional support animal proves to be damaging to the property, you can and will be charged for the damages by the rental agency or landlord. This is similar with standard service animals. Also, if your animal is unruly, dangerous to others, or causes unnecessary disturbance, a landlord or property owner can evict. It’s important to ensure that your support animal does not fall into this category so that there is no excuse for eviction. The type of information that you may need can vary from property to property, but let’s take a look at the materials and information that you’ll need in most housing developments in the United States. The letter should be formally written with the appropriate formatting as well as a the health provider’s office letterhead. • Are currently under care for a mental health treatment that is designed to alleviate a serious mental disorder. The mental disorder must be included in the aforementioned DSM IV or V.
• The renting party may need additional verification from the licensed mental health professional that provided the letter. What must a letter for an emotional support animal include for air travel? o More than one year from the flight time. 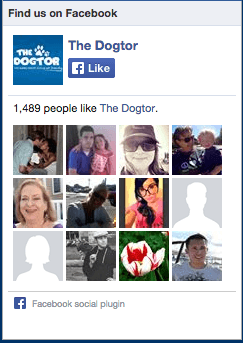 o From a health professional who is not currently practicing in the realm of mental health. • An identifying patch on your animal or on its cage if that’s where it lives that indicate that it’s an emotional support animal. • You can also get a certification document from a service animal registry company. • Most airlines also prefer that you establish that you’ll be travelling with a emotional support animal prior to your flight time and date. Many of these airlines prefer to be notified at least 48 hours in advance. If I have a service dog, do I need a service dog letter from my doctor? 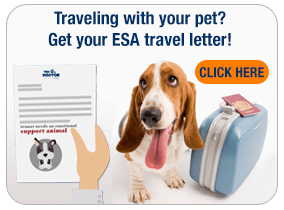 Unlike ESA letters, if you have a service dog that is there to help alleviate a physical condition when renting, travelling, or visiting a business, you should still have a letter in case you are called to verify your disability status. 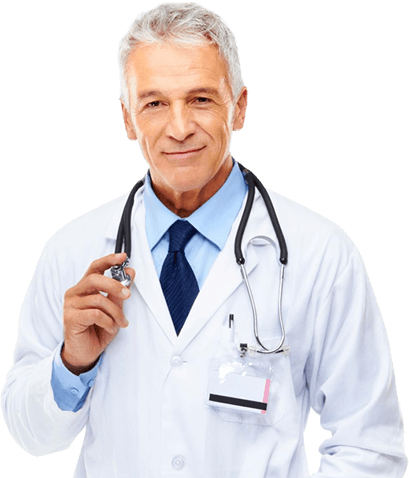 Most medical professionals can provide this documentation relatively easily. This type of letter should indicate how long it has been since you’ve been under the care of that physician. It should also indicate that you cannot function adequately without the help of the service animal; whether this is an emotional reliance or a physical one, the Americans with disabilities act requires that certain provisions are made in your case. Service animals are key to many disabled American’s sense of reliance. Emotional support animals provide companionship and confidence and these animals help to minimize the symptoms of mental illness that can be devastating to a normal life. Even though these emotional support animals are prescribed by a licensed mental health professional, the emotional connections that they foster cannot be quantified clinically. If you find that you will need a ESA letter, you’re mental health professional will be more than happy to provide one for you. Remember, your animal is protected by federal law. If you feel that a landlord or an agency is trying to impinge on your right to have a emotional support animal or is trying to profit off of your support companion, you should report it to the U.S. Justice Department or file a complaint of discrimination.